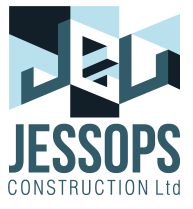 Jessops Construction can now reveal we have just been appointed as main contractor for a new scheme on Nottingham Road, Stapleford. The mixed use project consists of a ten Class C3 residential dwellings together with a 20,000sqft Aldi Food Store which will be the firms twelfth to construct to date. The scheme will increase the retail provision in the area and has been welcomed by the local Stapleford Community Group who state that over 1,000 residents are in favour of the new store following the closure of a Co-operative in the town. The day to day running of the build will be led by Jessops Construction Site Manager, Steve Sharp who will be supported by the project team consisting of Mick Locke, Construction Manager and Jo Gray, Senior Quantity Surveyor. Works on site are due to commence in summer 2018 and expected to be completed by summer 2019 and form part of Aldi expansion plan with a target of 1,000 stores in the UK by 2022. Does this press release really say “due to commence summer 2018” ? One of us is timeline confused! The works did start in Summer 2018, including the fencing around the site and the clearing of the site too. So why publish in November 2018 that the work will start in Summer 2018? Are you able to provide their contact details? The article came from Nottingham Post – latest article I can trace can be viewed at https://www.nottinghampost.com/news/local-news/construction-company-appears-been-contracted-1509953 – referring to September start.